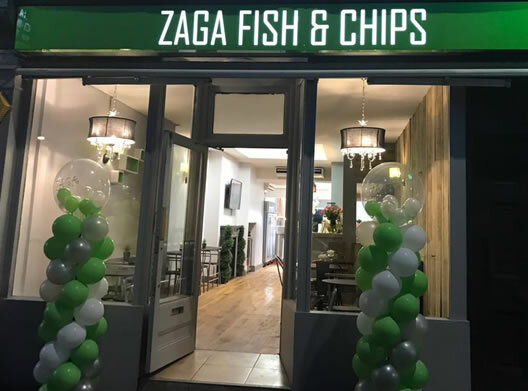 Zaga Fish an Chips is a chippie is a family run business which has been frying for over 27 years! The restaurant offer all of the fish and chip classics, including mushy peas and large cod, as well as some exotic surprises, including swordfish! The fish and chip shop do not have a licence to sell alcohol but are licensed to have alcohol on the premises meaning you can BYOB! Zaga is proud of the huge choice of sustainable fish bought from Billingsgate Market which is fried to order in rapeseed oil. This is changed daily and recycled appropriately making your fish as tasty as possible. 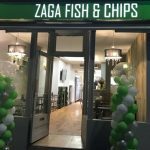 Zaga Fish and Chips also offer a take away service.